While the mango season is still on, I guess the timing is just apt for posting this famous Maharashtrian dish, ‘Aamras Poori”. The most obvious combinations all along (at least the ones that I know of) have been ‘poori with aloo bhaji’, ‘poori with channa masala’ or ‘poori sagu’ but poori with Aam (mango) ras(juice/ syrup)…this sounded and is truly a tantalizing combination. My hubby (with his ever-growing Mumbai loyalty) talked so much about this dish that I thought I should give it a try…the drive was, even if I can’t have this dish with pooris, I could always have it for dessert:) . It is in fact very simple (all you need is a few ripe mangoes and the rest you’ll find at home). To my surprise and a pleasant one at that, I instantly fell in love with the combination…and the hangover continues :) …so here’s sharing the hangover with you…! 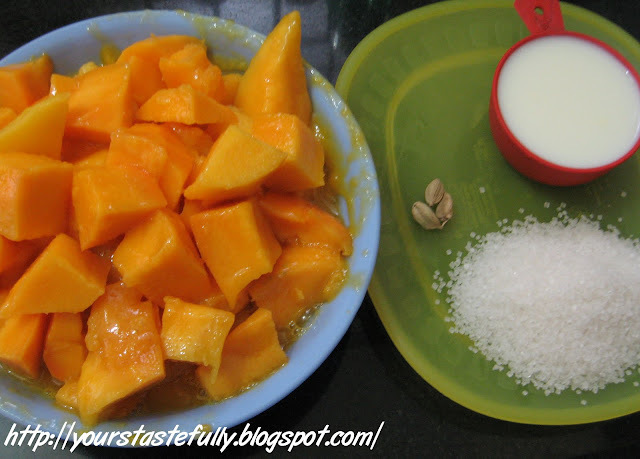 Serve with pooris or relish the ‘aamras’ as a dessert! A savoury dipped in sweet...never tried one before!! should have a go sometime!! @LAC: I thought it was weird..but it's yumm!! wow! what an interesting combinations!!!! poori and mango! thank you Sarah...try it I'm sure you'll love it! Lovely and tasty..I can feel the taste just by looking the pics..Thanks for stopping by kothiyavunu and lending me to ur lovely space..u 2 have a lovely space filled with yummy recipe..following u 2!! 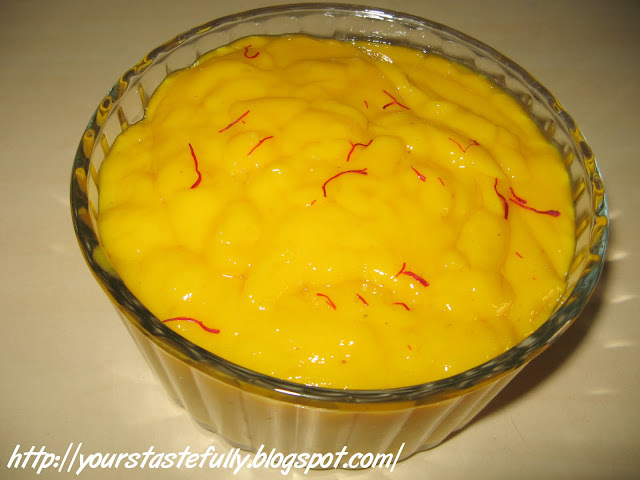 Thanks for stopping by my space.Loved your space too.I have heard a lot about this combo but has never tried this.Your Aamras look so tempting. wow...this is something new to me...but it sounds interesting and very delicious....using mangoes sounds tasty!! Thanks for stopping by..you have an awesome space here..
Hey, aamras sounds like a thicker version of mango smoothie :) No wonder you were hooked, looks simply delish! Never thought about Poori with Aamraas ..... 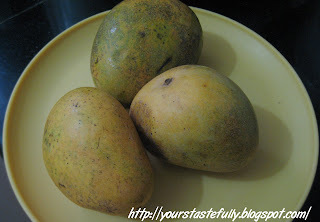 I can eat mango in any form four times a day :) My fav !! 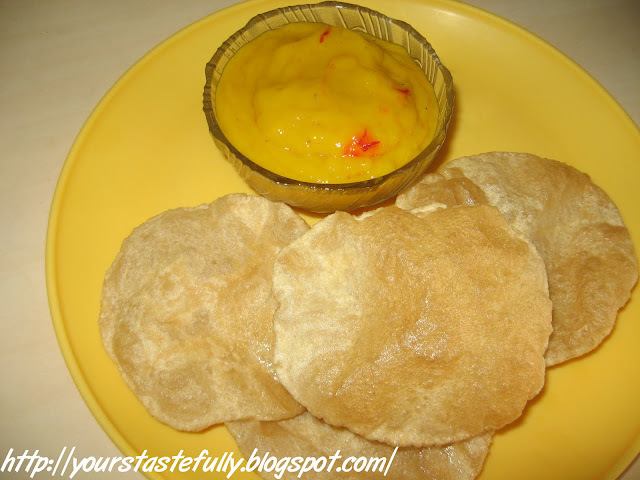 Aamras Poori is a favorite combination at home during summer. Like your thick version. 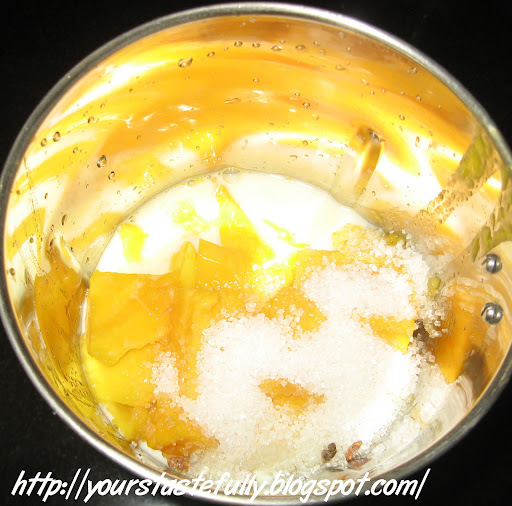 I make my aamras by using jaggery instead of sugar. This looks super delicious. Yummy combo.